Archive46 - Excerpt 2: Nature or Nurture? Archive47 - Excerpt 5: Normal - or Narcissistic? 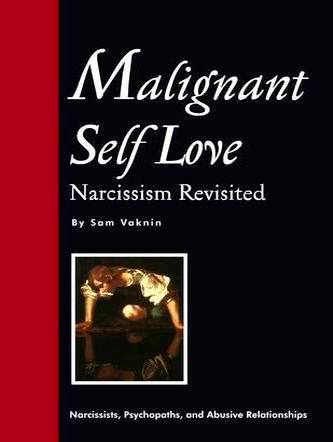 Archive51 - Excerpt 8: Do Narcissists Ever Change? Archive42 - Excerpt 3: Why Does He Keep Coming Back? Archive49 - Excerpt 7: Is the Therapy Working? Archive32 - Excerpt 1: How to Protect My Son from Narcissism? Archive35 - Excerpt 1: How to Leave a Narcissist? Archive52 - Excerpt 6: Don't Pay for Love! Case Studies in the Narcissistic Personality Disorder List - Click HERE! Archive35 - Excerpt 5: Why Do I Write Poetry? Archive36 - Excerpt 4: More about Me - Published in "Bright Ink News"
Archive37 - Excerpt 6: Interview to Independent Success!